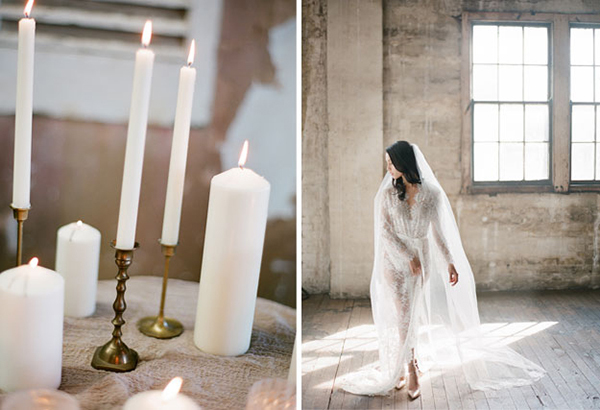 Do we have a crazy gorgeous photoshoot for you today! 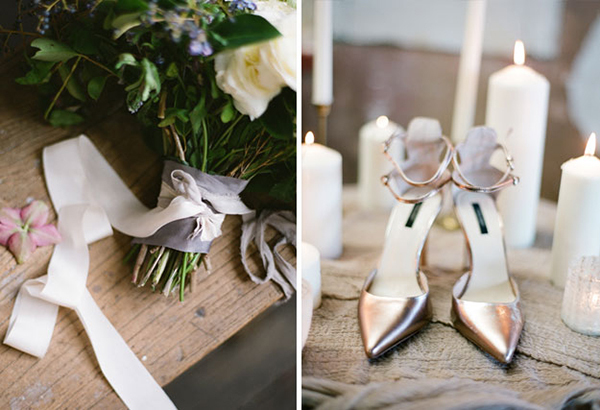 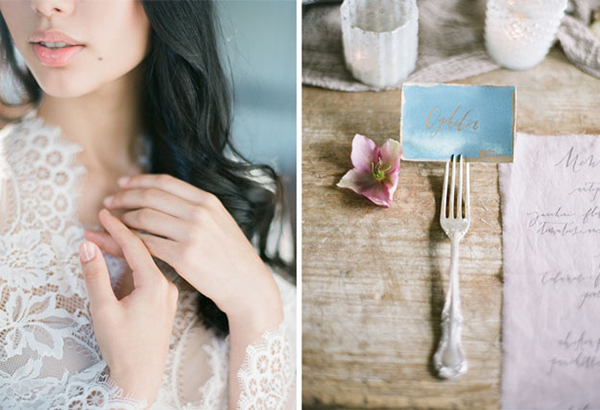 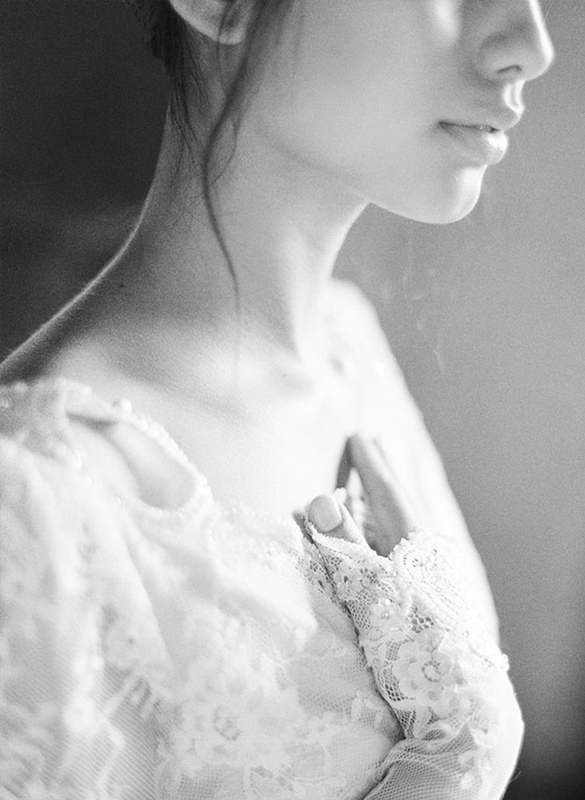 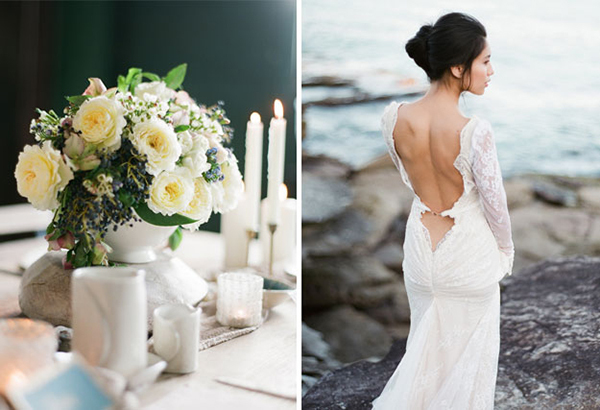 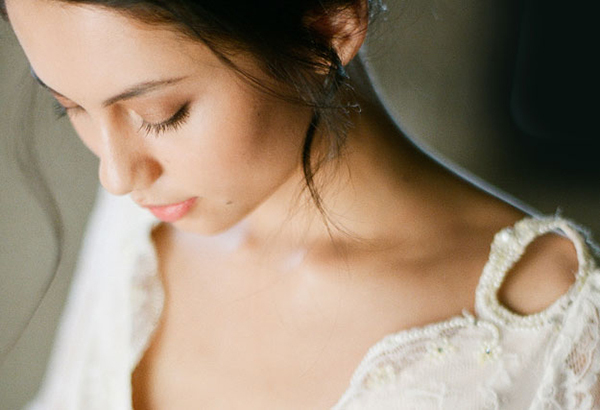 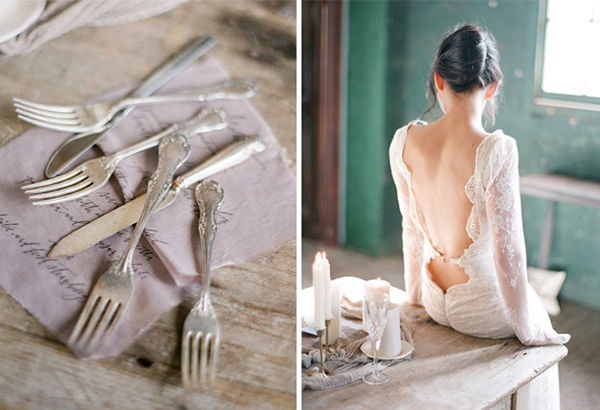 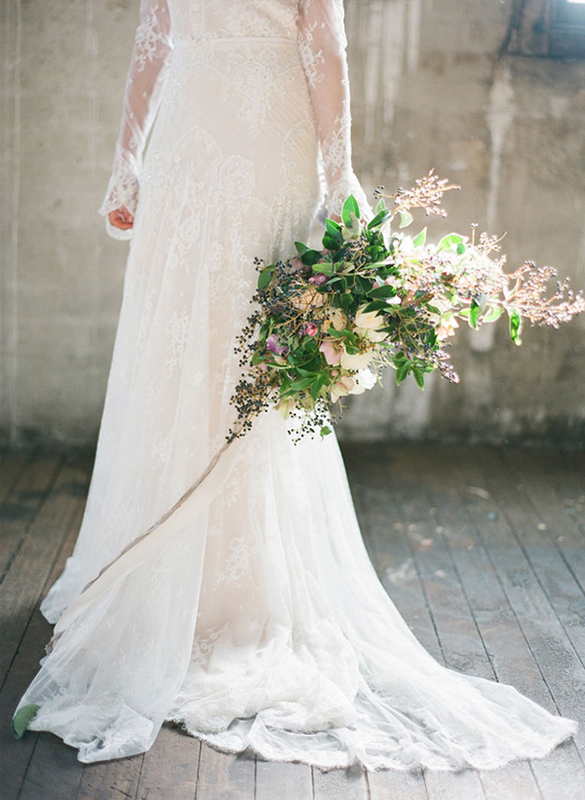 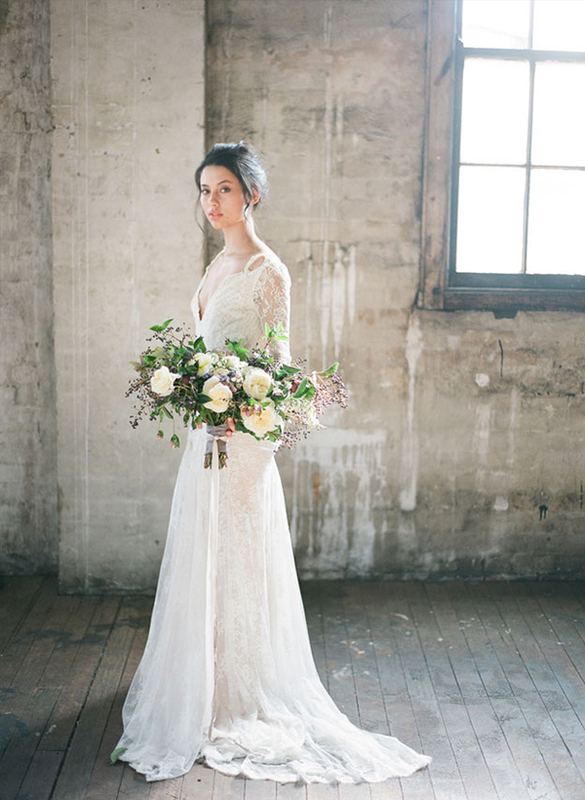 With a soft and romantic color scheme and a unique organic feel, this shoot captured beautifully by Jemma Keech has left us speechless. 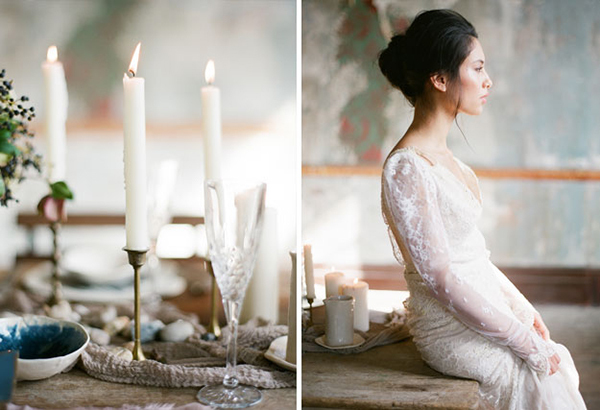 I am in love with the a-line Inbal Dror lace dress with long sleeves that also features a stunning open back. 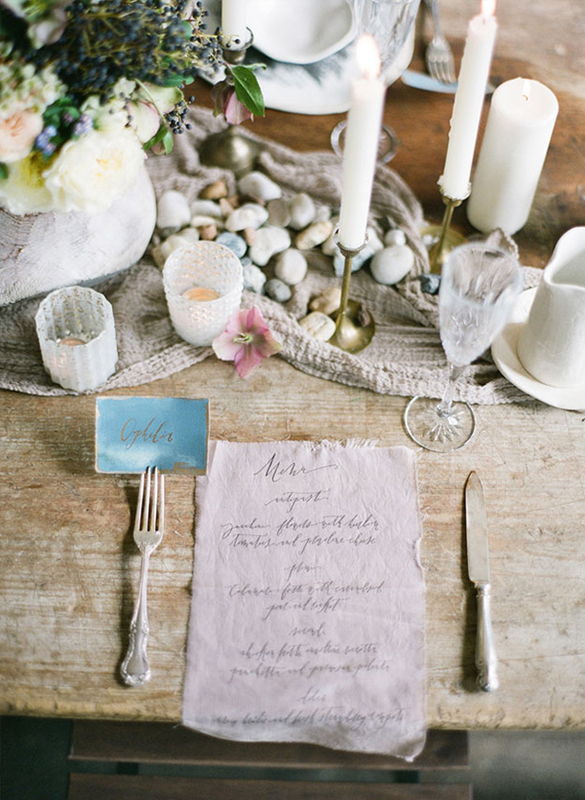 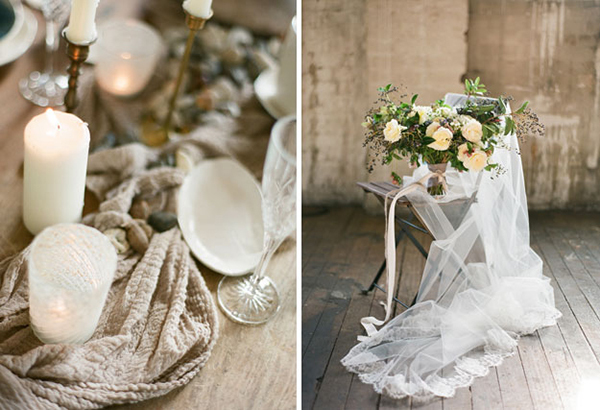 Lavender & Poppyseed did an amazing job with the styling and creating such a setting that truly blows your mind. 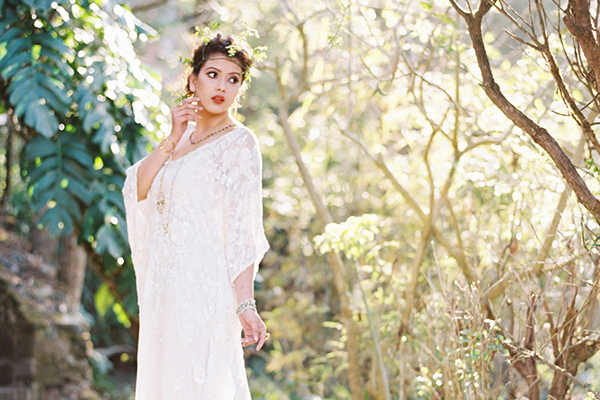 Other lust worthy details we love are the sophisticated crescent bouquet and the luxurious kimono robe by Girl With A Serious Dream handmade in soft Chantilly lace.